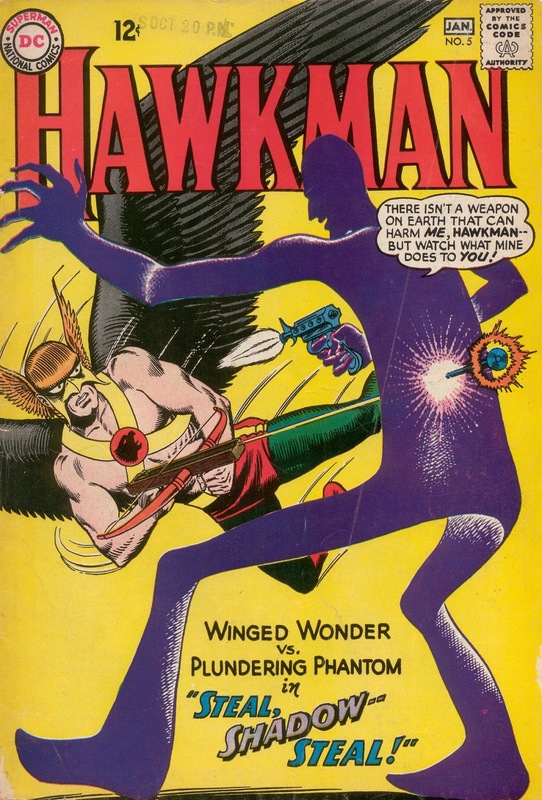 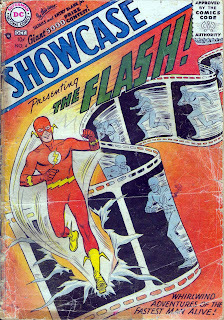 In 1947, after having written two comic-book scripts for DC Comics, he was hired as an editor at that Manhattan-based publishing company, where his brother, Bernard Kashdan, was a business executive who'd joined the company in 1940. 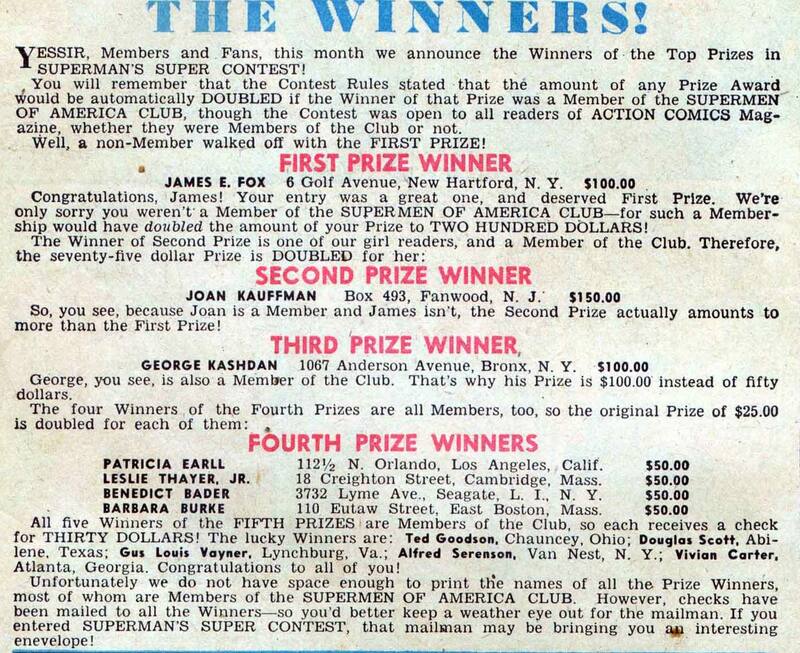 Of course nowadays it is common for such contests to exclude employees of the company involved and their families. 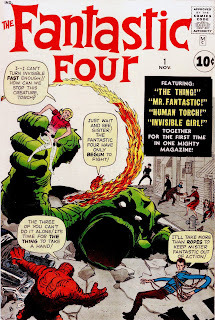 The characters are so iconic to us these days that it can be hard to remember that back in 1961, kids had no idea who the FF were, or what they could do, so it was important to give them an idea quickly. 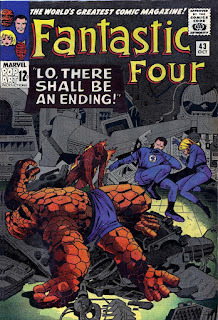 As I have mentioned in the past, this may be the real reason the early FF issues started out with them squabbling; so that they could demonstrate their powers early in the comic. 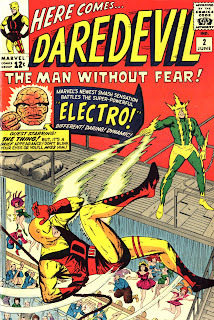 It's also why the early X-Men stories opened with them in the Danger Room. 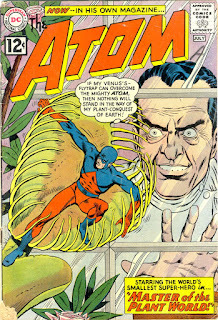 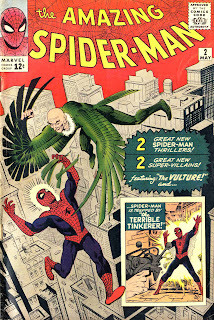 But that pretty quickly changed and the covers became another "villain of the month" gallery. 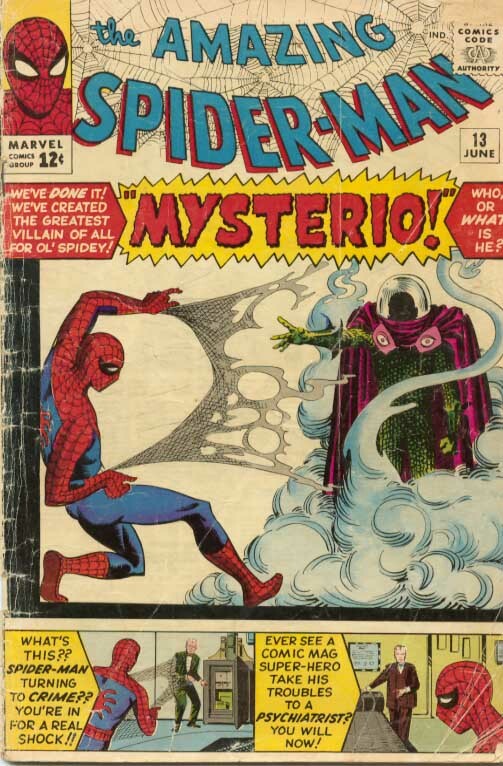 There are two very big differences between the Marvel covers and those of DC. 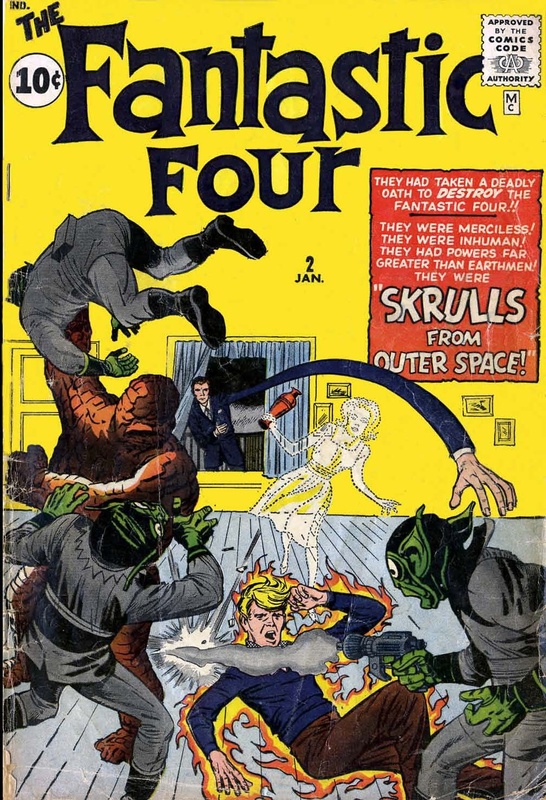 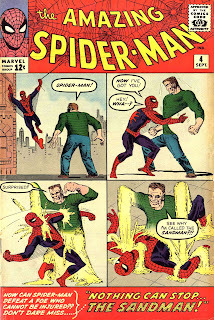 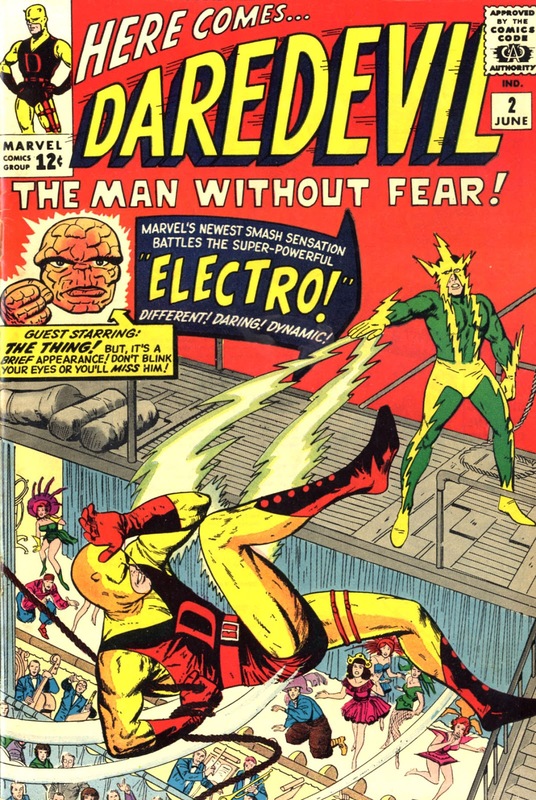 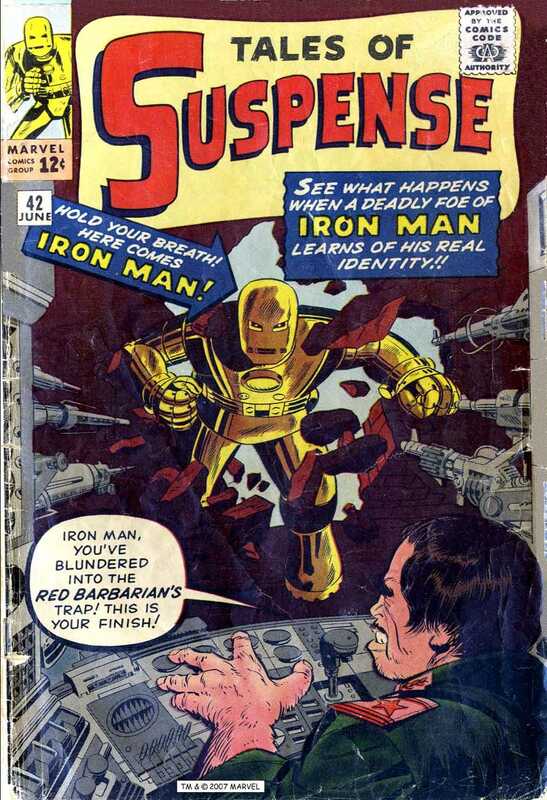 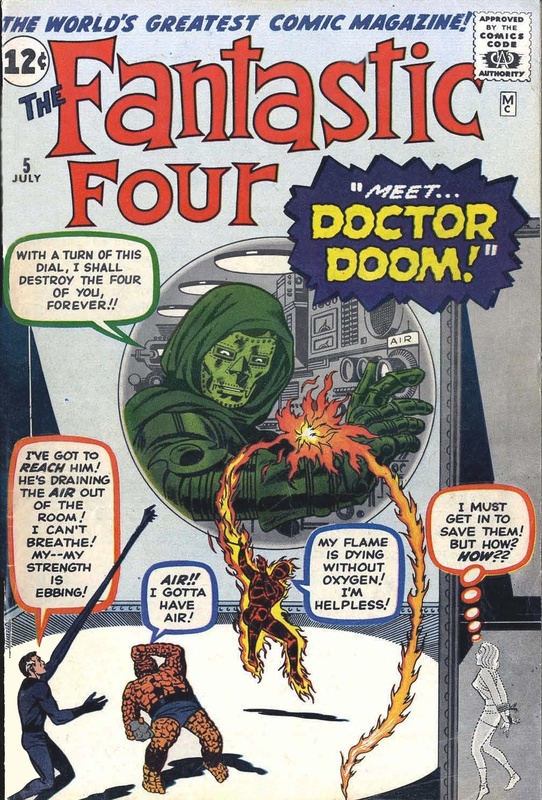 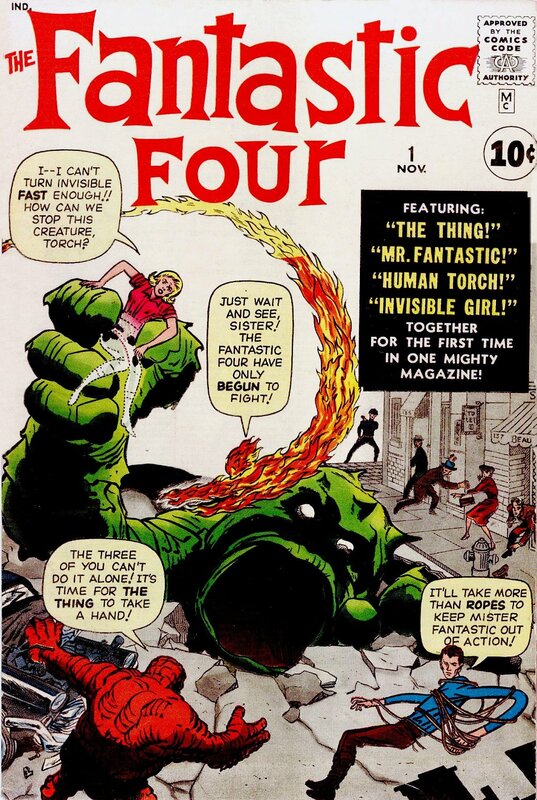 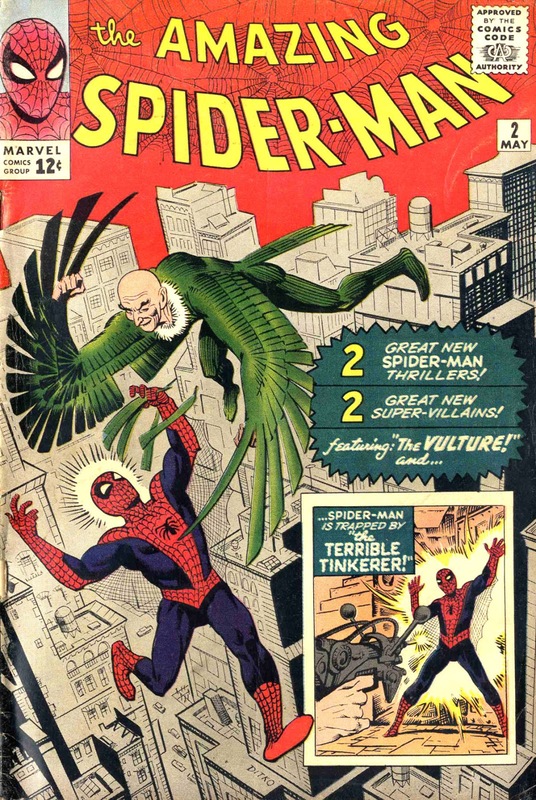 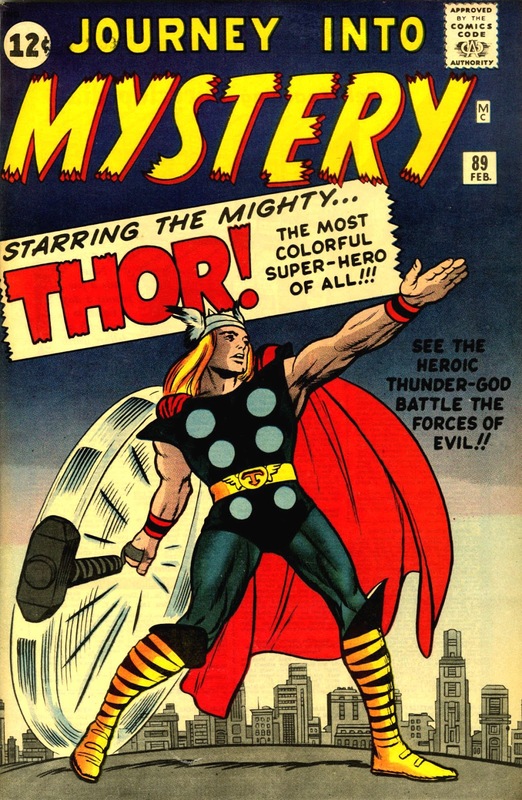 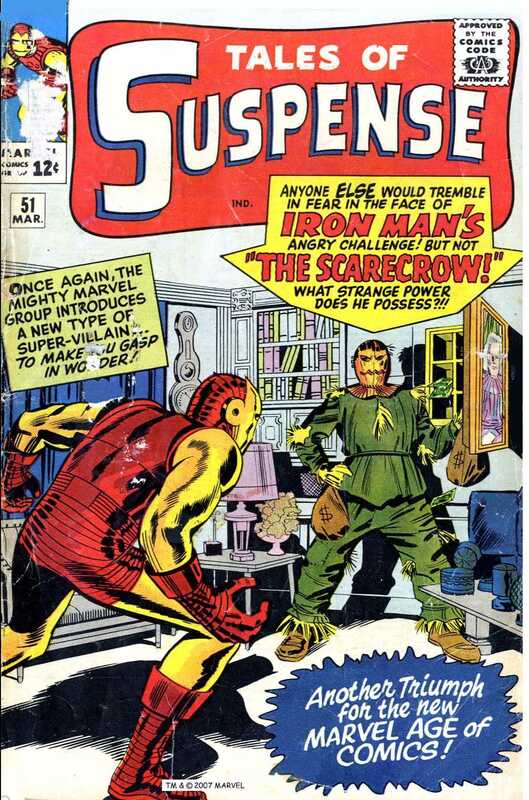 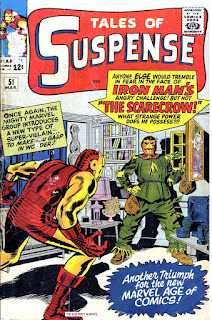 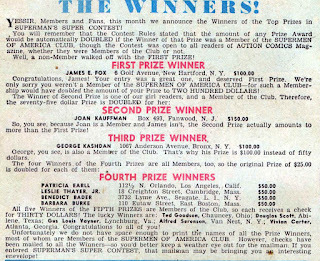 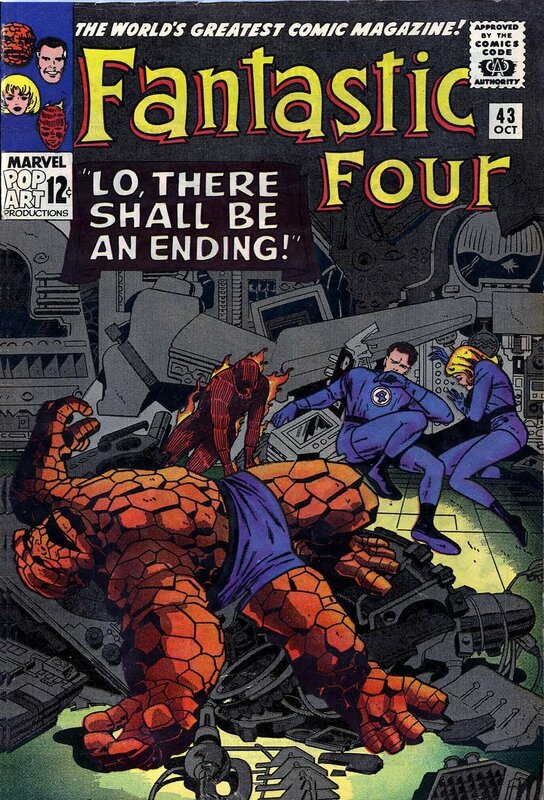 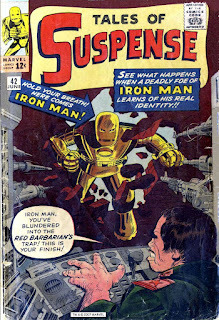 First, the Marvel covers were much less likely to have speech or thought balloons on them; even as early as FF #2, Stan was content to let the picture tell the story. 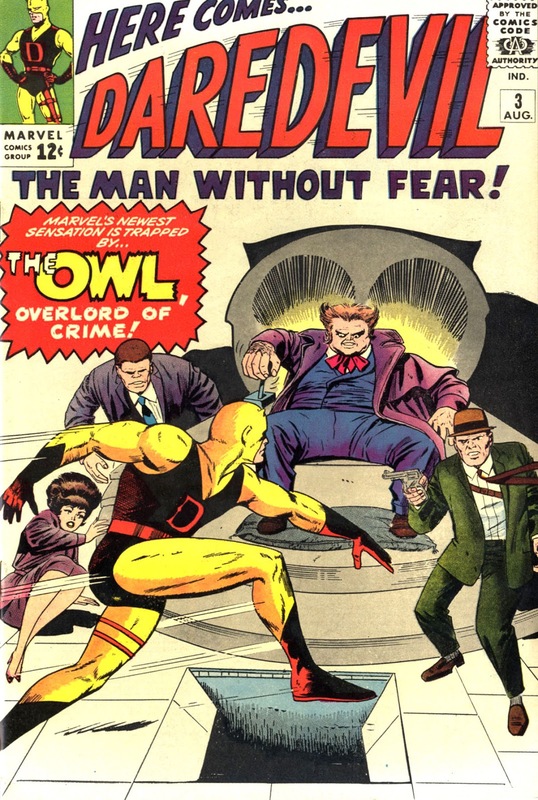 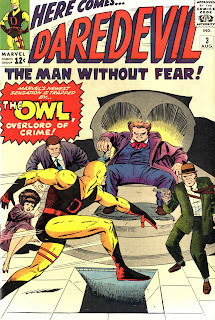 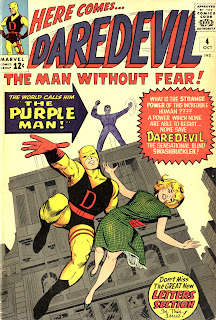 In fact, there is not a single speech balloon on a Daredevil cover until #34; the next one appears on DD #57. 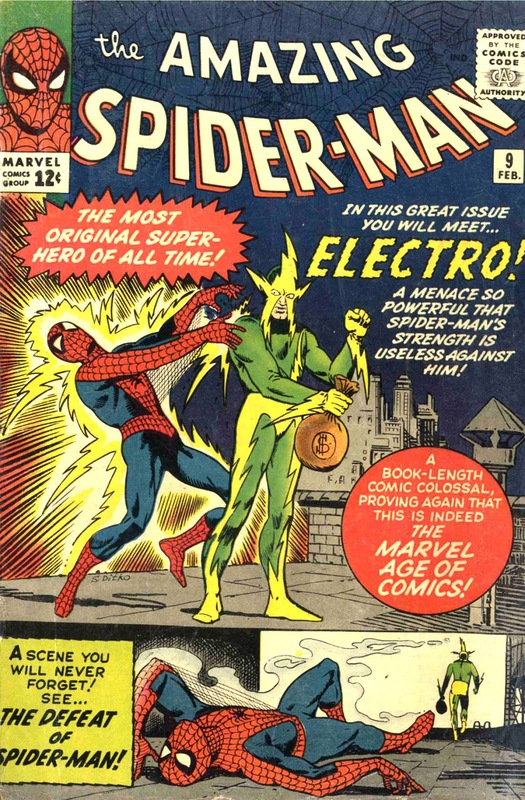 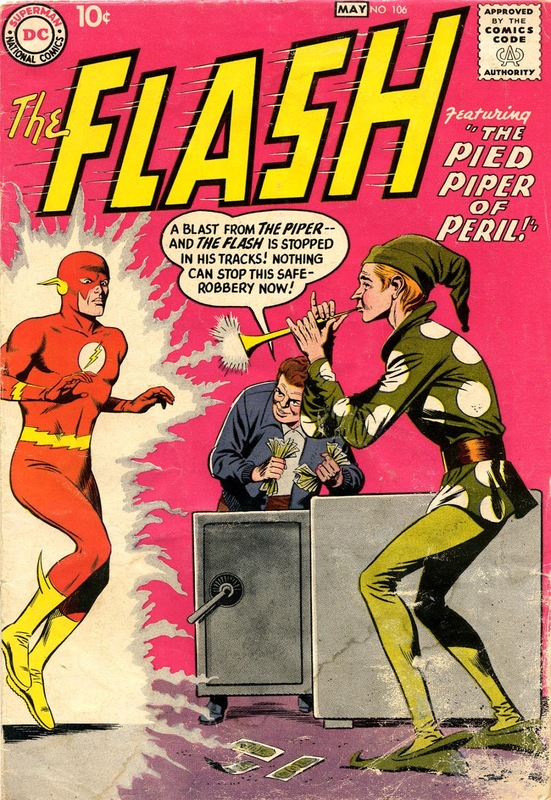 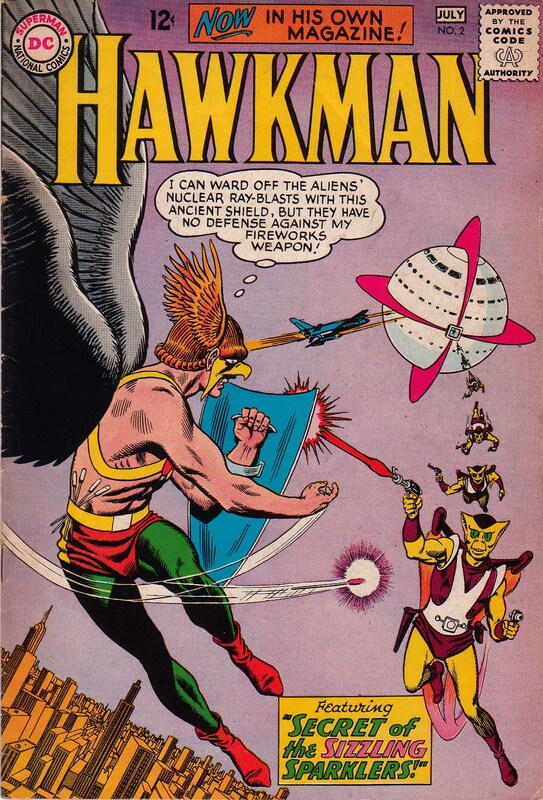 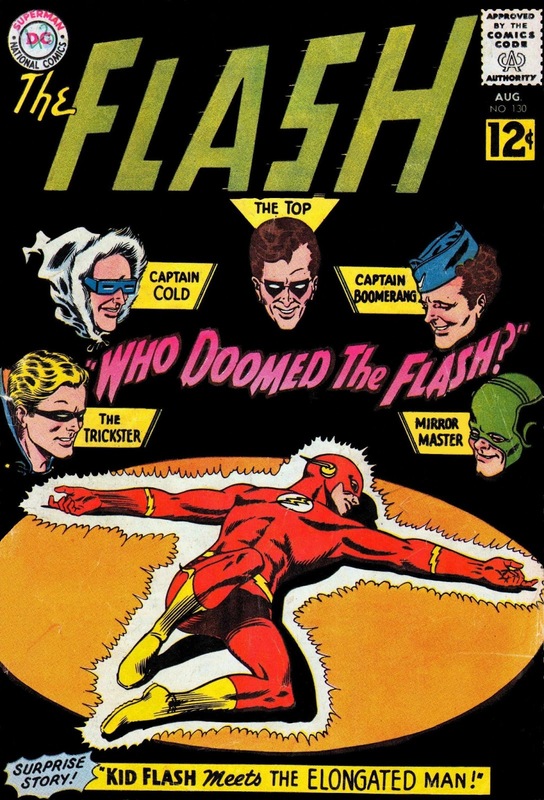 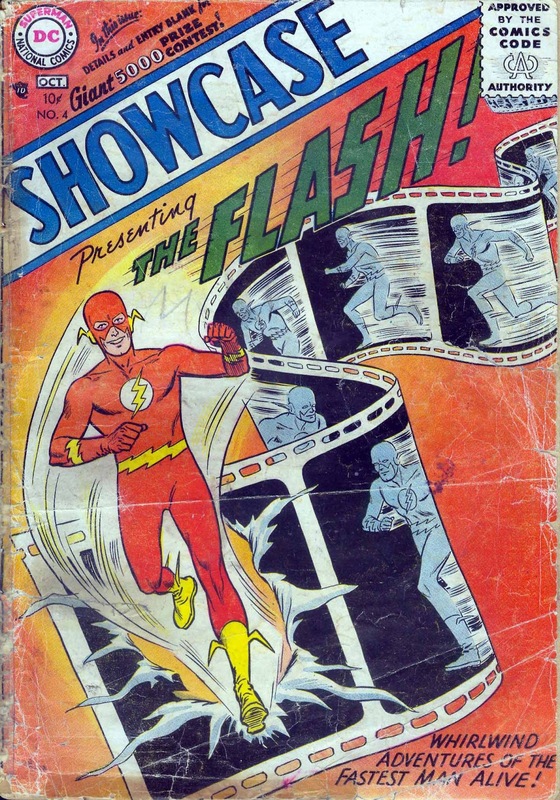 Actually there are a couple other Flash covers like that, but they came towards the end of the 1960s. 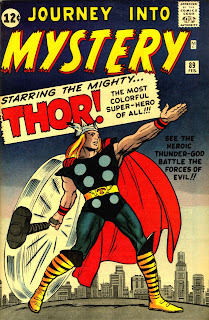 This is something I've been mulling over for awhile. 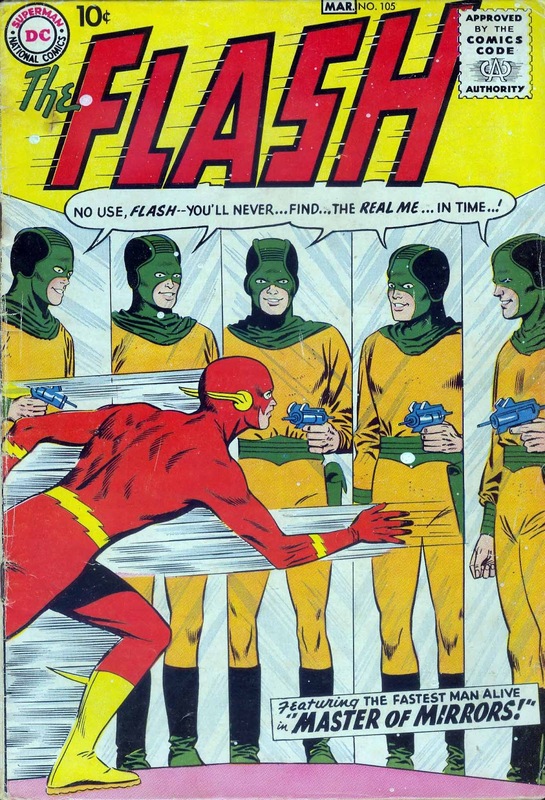 Obviously every character is different, and presents different challenges for the editor and cover artist(s). 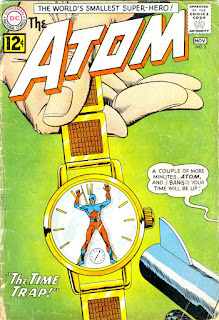 Obviously, no other character could find themselves in those particular situations--menaced by a Venus flytrap, about to be sucked down the drain, or sealed inside a wristwatch. There were many other similar covers, with the Atom stuck to the tire of a speeding vehicle, or strapped to a grenade, or menaced by a cat. 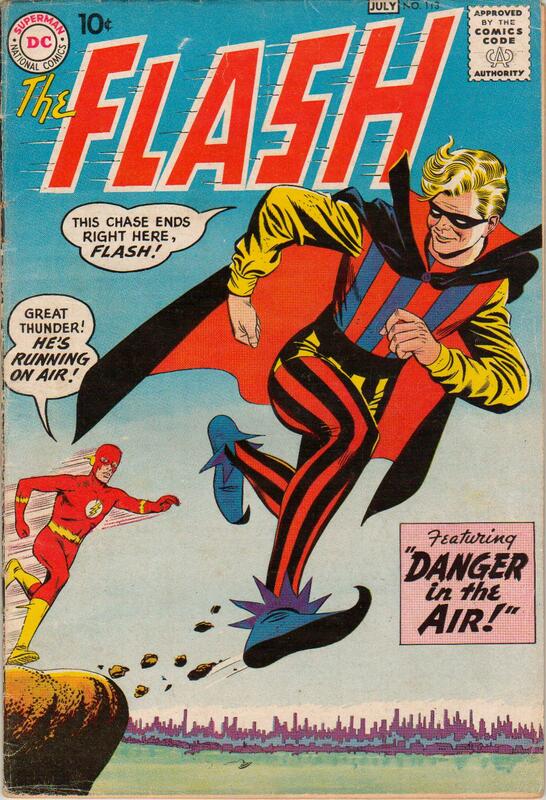 He's running so fast that he's actually popping right off the film. Indeed, of all of DC's superheroes in the Silver Age, the Flash had by far the most interesting rogues' gallery, while the Atom had hardly any costumed villains. 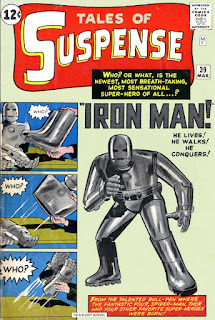 Again, some of this may be due to the nature of the superpowers. 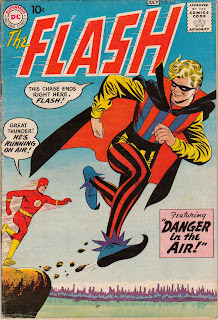 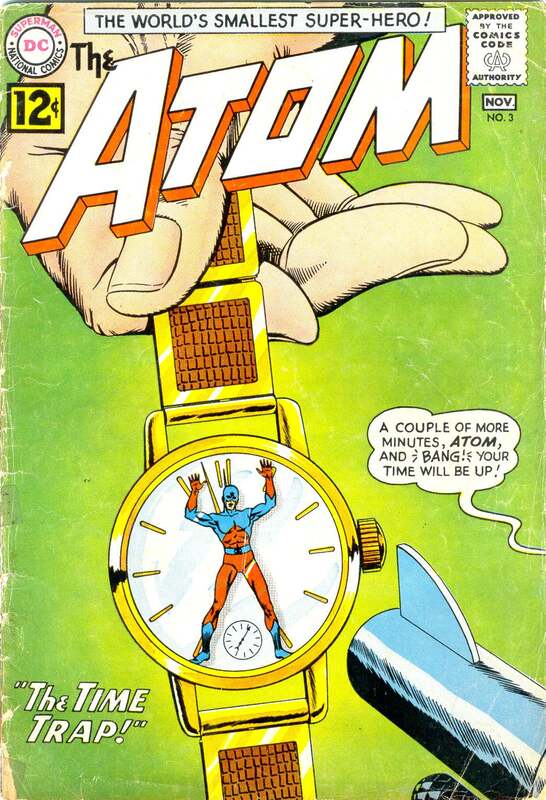 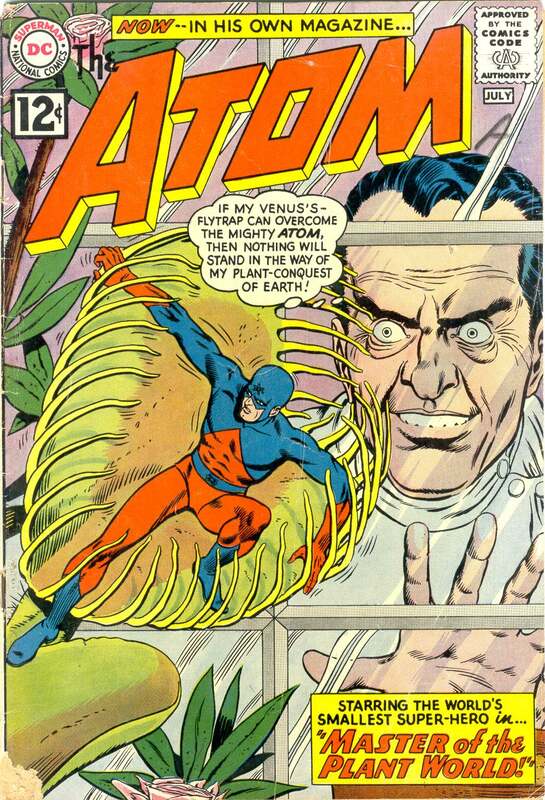 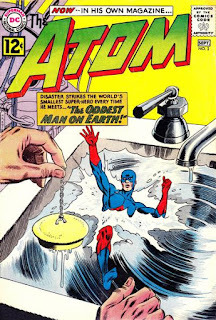 The Flash's ability is so strong that it almost requires a lot of trickery, while the Atom's power is much more limited and thus he was more likely to encounter common criminals. 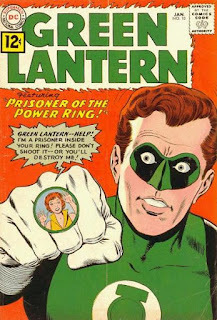 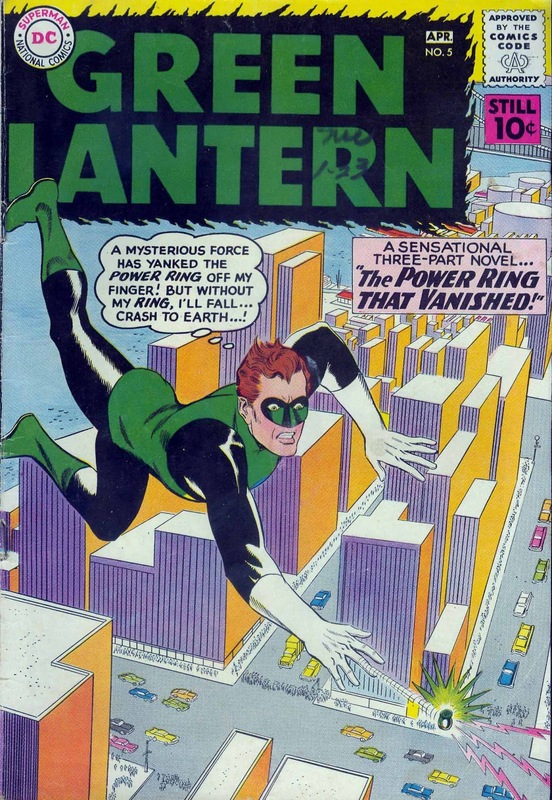 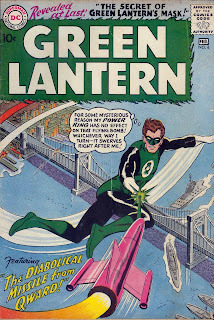 With Green Lantern, Schwartz and Kane went more with puzzle covers. How can this be happening, and how can GL get out of this situation? 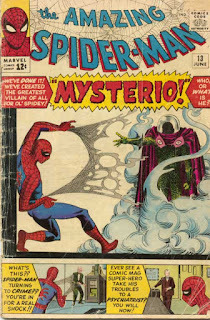 I'll try to take a look at some of the Marvel covers next. 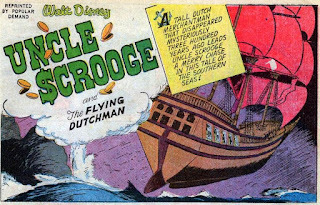 I have been reading a bunch of Carl Barks' magnificent Donald Duck and Uncle Scrooge stories lately and one thing that caught my attention was how many of his tales either took place on ships, or featured a long voyage. 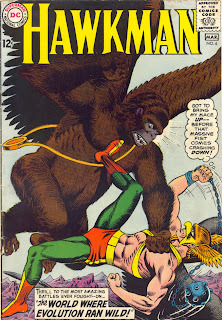 There are a number of possible reasons for this. For one thing, ships offer plenty of danger, from shipwrecks to storms to pirates. 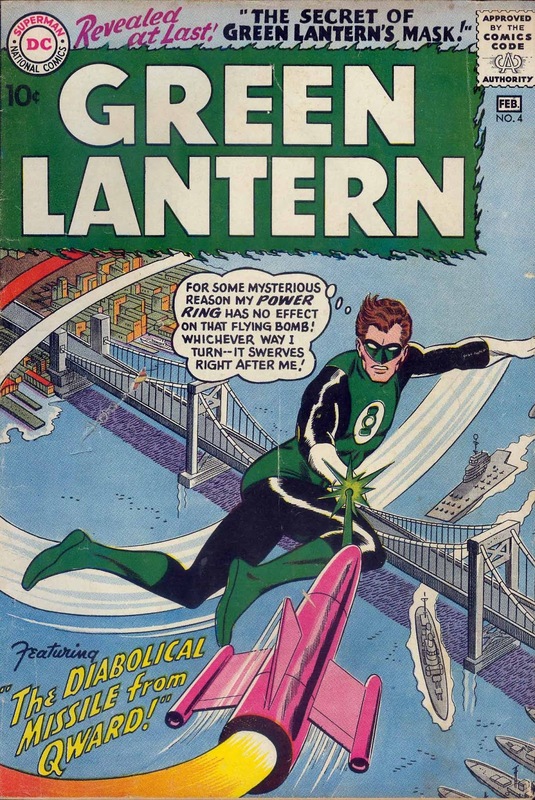 Plus, his stories frequently featured worldwide travel and it is easy to forget in the jet age, but ships represented the most common transport across the world's oceans well into the 1950s. 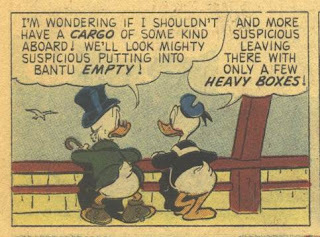 For example, when my parents returned from Germany in 1955 with baby Pat in tow, it was on an ocean liner. In the former story, Uncle Scrooge has purchased the assets of a former shipping line, in the hopes of uncovering information that will lead him to the title ship, which vanished with a cargo of gold bullion. In the latter, he has made a fortune selling rubber to the island nation of Bantu, but they insist on paying him in gold, and he reasons that the safest and cheapest way of getting it back to his vault in Duckburg is via a windjammer. 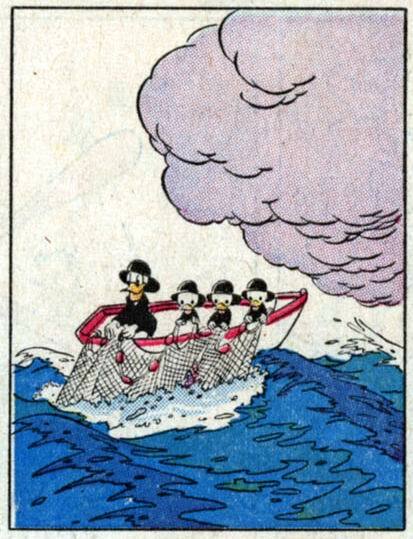 That story, which follows roughly Robert Louis Stevenson's classic Treasure Island, has the boys battling it out with Black Pete for Captain Henry Morgan's treasure.